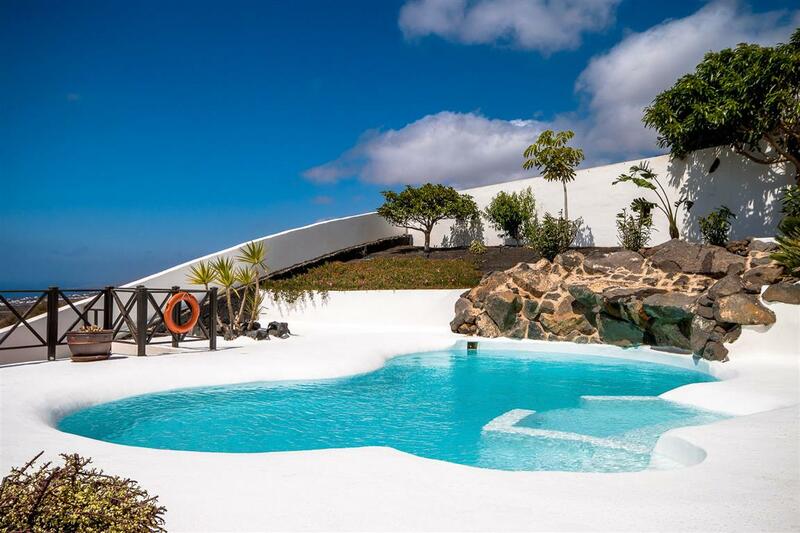 The Cesar Manrique inspired electric heated Swimming Pool has a rock waterfall at one end and is surrounded by gardens. 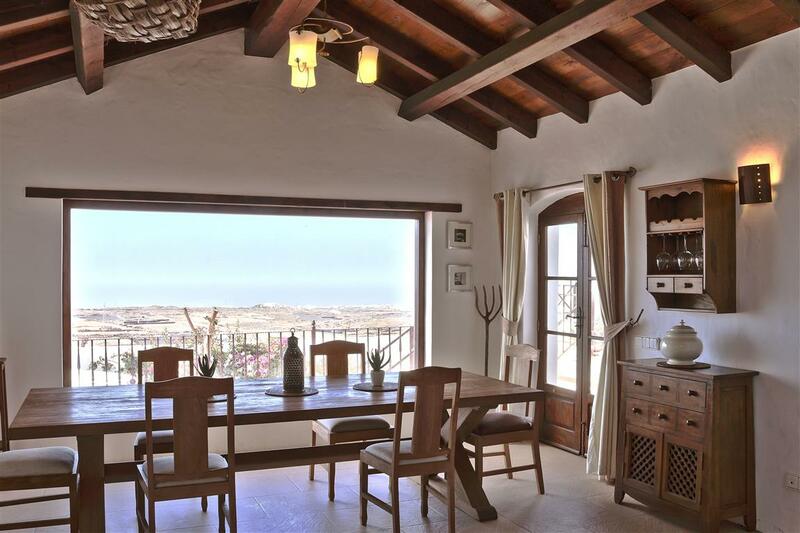 With over twenty years experience as a Master Carpenter I have put it to good use in this exceptional villa. You will see from the moment you walk through the door that I have taken great attention to detail and created a truly unique home. 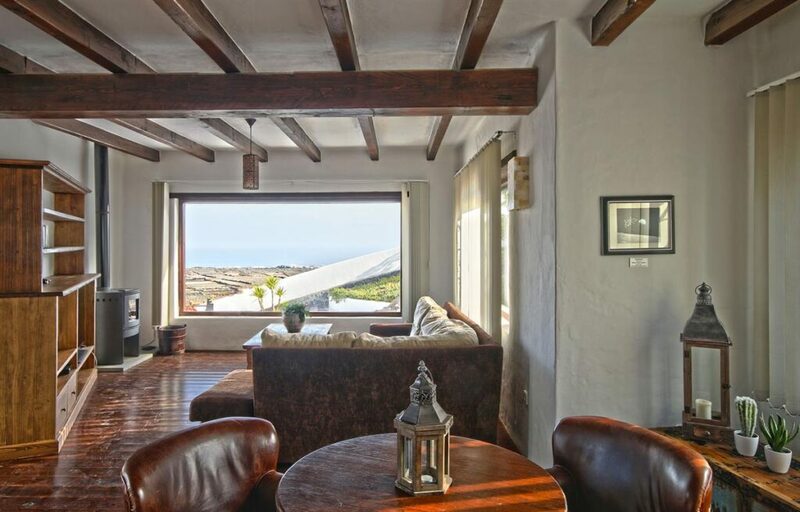 There is a Canarian Balcony off the Master Suite a feature often found in the older Lanzarote fincas. solid timbered polished floors in the lounge, a high pitched beamed roof over the kitchen and dining room which also has huge picture window. These are to name just a few of the special features that I have used in the Design and Build of this Lanzarote Villa. 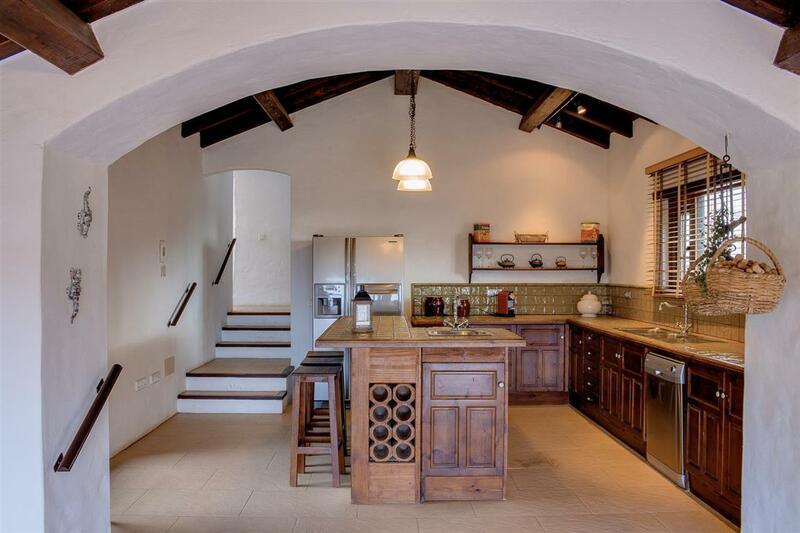 By Natura Design – solid wood floors, beamed ceilings, double block walls for insulation. 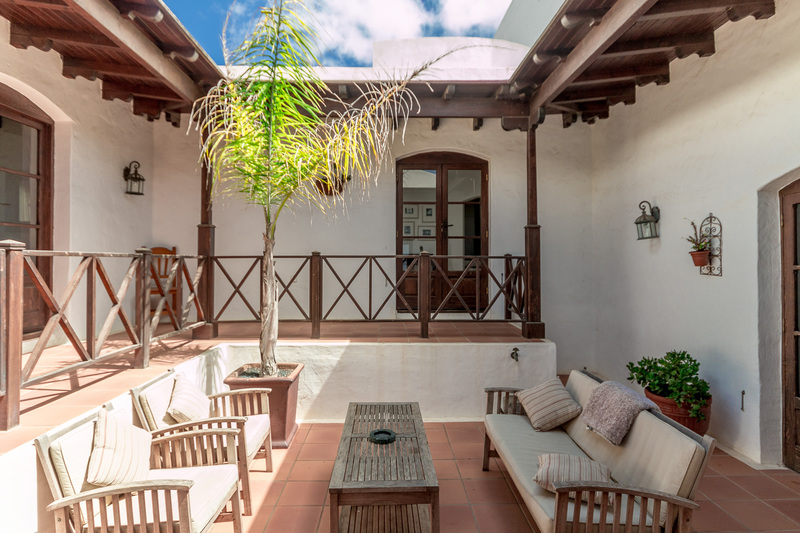 The Central Courtyard is partially shaded with a hand crafted wooden Pergola and is the perfect place to sit and relax with a glass of wine or two. The Kitchen has patio doors that open out to the Court Yard and the Dining room has patio doors that open out to the Pool area. I have also built many of the walls in the house double skinned. 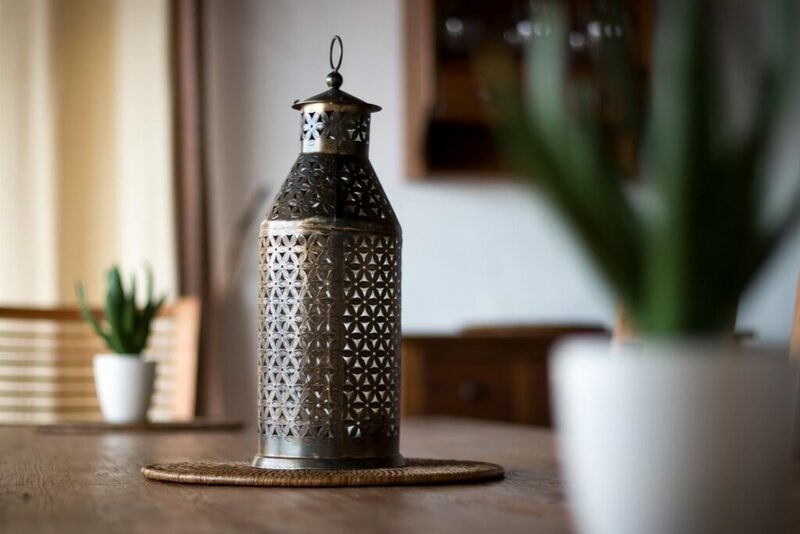 This was for two reasons; firstly to insulate the house, as this helps to keep out the heat in the summer and the cold in the winter, and to also give the villa a Rustic feel as all of the traditional houses on the Island were built with thick stone walls. The master suite is on the first floor with french doors opening onto a Juliet balcony and roof terrace. There are three double bedrooms on the ground floor with a large bathroom that has a natural stone garden feature in it. I have used Designer Taps and Sinks in both bathrooms and all the tiles throughout the house are of the highest quality. Property was sold in 2014 – Contact us for information on new building projects.